Hi! 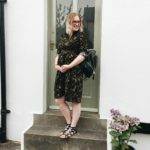 Welcome to 35 weeks of pregnancy, featuring achey hips, extreme tiredness and one very wriggly baby. 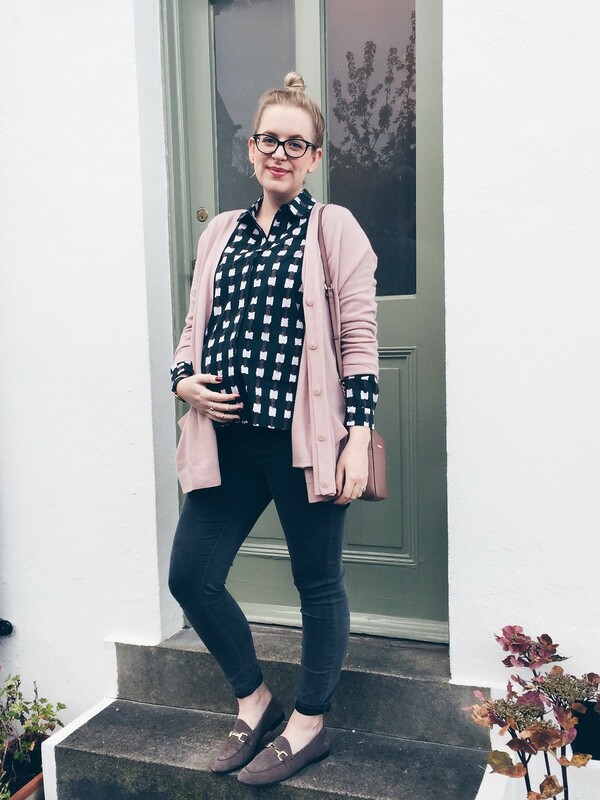 This week I’ve definitely noticed a ‘stepping up’ of the pregnancy symptoms. My heartburn is chronic, my hips are practically caving in on themselves and walking is a very slow process. 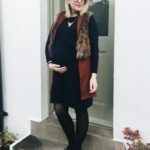 Adjusting to a heavily pregnant body is pretty tough, especially when you’re used to doing everything at double speed… walking in particular is frustrating and most of the time I feel like a tourist on Oxford St – bumbling along at a snail’s pace while everyone else whizzes by and tuts at my slowness. But! Although the symptoms are annoying and tiring, I can’t feel anything other than excited right now. Baby A is super active these days – her movements have changed from hard kicks to nudges, rolls and wriggles and every one delights us. She sticks her bum out so we can feel it on my belly and knowing she’s right there under our hands is just a bit mind-boggling. It really drives home just how REAL it all is, and that she’ll be here with us in no time. Amazing. This week Rob and I have also been cracking on with antenatal classes. We’ve signed up for pretty much everything going, including the private NCT course and the free NHS sessions. It’s really interesting to experience both types of classes and the differences between them – so far they’ve both been super useful and NCT is definitely better for meeting parent pals and bonding with a group of likeminded people. But the NHS active birthing class we had at St James’s earlier this week has been the highlight of our parenting education so far – the midwife who led it was absolutely brilliant and I loved the laidback, homespun nature of it… particularly the knitted uterus and placenta cushion used to demonstrate labour! 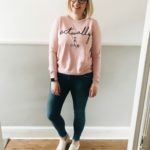 It might sound a bit ramshackle and I did expect something much more clinical considering we were in a hospital, but the informality was hugely reassuring and the ease with which the midwife spoke about labour made it all sound so doable. We also had a tour of the delivery suite at St James’s including the water birth room I’m hoping to use, which is genuinely a bit like a spa. It’s SO nice and so unlike a hospital, I’m actually quite looking forward to the whole thing. So, that was 35 weeks. I’m 36 on Tuesday which means it’s only 4 weeks till Baby A’s due date and she’ll be only a week away from full term. Tbh, it can’t come soon enough – I’m desperate to meet her! 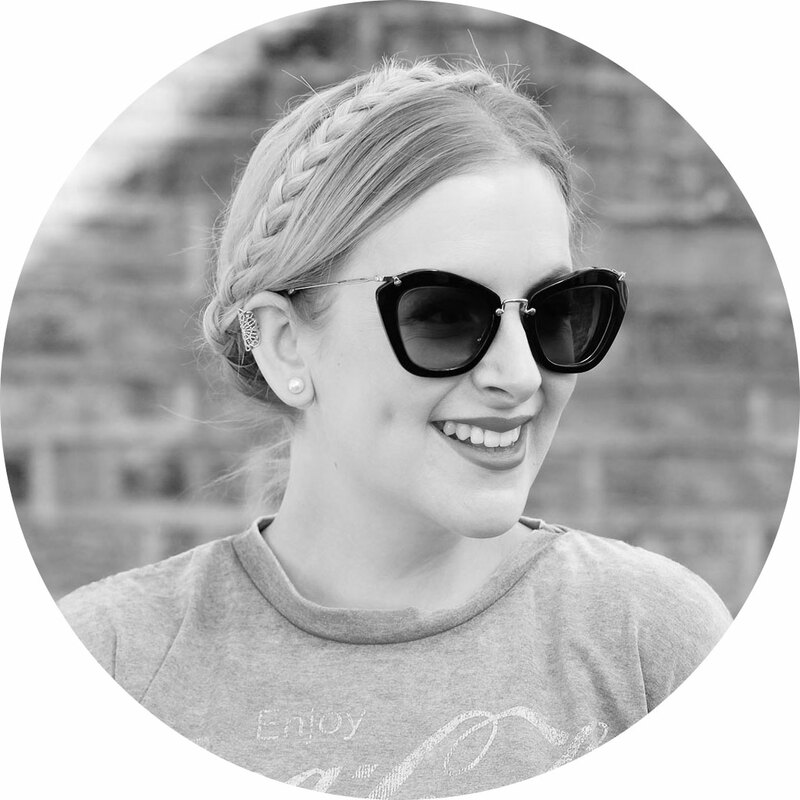 Looking good and still avidly following your journey alongside mine as we cruise into the last week at work…. daytime naps anyone?! 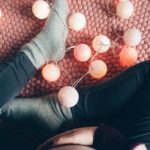 I wish I could feel as relaxed about birth as you sound, you seem great and am so excited to see Baby A once she’s here! Nursery looks fab, she’s a lucky lady. I really must pack my hospital bag and stop being in denial!! Looking beautiful! I love your outfit! The top is amazing with those square prints.